How do I get medical records? How do I create my patient page online? What if I require hospitalization? Do I have to fast for blood tests? Doctors of internal medicine have had special study and training focusing on the prevention and treatment of adult diseases. Internists are sometimes referred to as the “doctor’s doctor”, and are trained to manage whatever problem a patient brings–no matter how common or rare, or how simple or complex. As primary care physicians (PCP’s), internists can handle severe chronic illnesses, situations where several different illnesses may strike at the same time, as well as effective treatment of common problems. Internists bring to patients an understanding of wellness, disease prevention and the promotion of health. All of our physicians are board certified by the American Board of Internal Medicine. Nurse Practitioners are registered nurses who have acquired the formal education, extended knowledge base and clinical skills beyond the registered nurse level to practice in an advanced role as direct health care providers. They are authorized to practice by the Board in a specialty area via their registered nurse licensure and advanced practice certification in a specialty area. Nurse Practitioners provide health care services within their specialty area to individuals, families and groups including but not limited to admission, management of care, discharge and follow up, in ambulatory, acute, long term and other health care settings. They utilize critical judgment in the performance of comprehensive health assessments, differential medical diagnosis including ordering, conducting, and interpreting diagnostic and laboratory tests, and the prescribing of pharmacologic and non-pharmacologic treatments in the direct management of acute and chronic illness and disease. Nurse Practitioners serve in multiple roles, including but not limited to, direct providers of care, health care researchers, consultants, and educators. They may work in independent practice and work collaboratively with other health care professionals when appropriate. Performing additional acts that require education and training as prescribed by the board and that are recognized by the nursing profession as proper to be performed by a nurse practitioner. Yes. Same day appointments are available for established patients who are acutely ill. You do not need to call for an appointment. We will make every effort possible to schedule you with your primary care provider (PCP), however please understand this is not always possible. Care is provided on a first come basis and certain days/times of the week can get very busy. We will make every effort to see you promptly but on occasion there may be a wait. After signing in please ask the receptionists how long the estimated wait time will be. On Saturdays the office is open for walk-in urgent/sick visits for established patients from 8:30am-11:45am. If your doctor at this office has prescribed a medication for you, call your pharmacy and request a refill. Please allow at least three business days to process your request. Please plan ahead and request a refill when you have at least a one week supply left. If this is a new medication, contact our office for an appointment in order to be evaluated for the problem. If it is for an antibiotic, and you have not been seen in the last two weeks for the condition you must contact our office to make a follow up appointment. We can not prescribe antibiotics without evaluating you. We report (by secure web messaging or telephone) all test results, including normals. You may pick-up copies in person or request a fax, there is a postage charge if you would like your results to be mailed. Most test results, excluding STATs, are generally available within three days of completion. If you do not receive your test results after one week, please contact our office. Currently, only labs processed by Sonora Quest are posted on the patient website. We are working to do the same with Lab Corp in the near future. Remember to choose the ” read labs ” option, if you have previously viewed them online. The system will store all posted results indefinately. Radiology tests (X-rays | CAT Scans | MRI | Mammogram | etc.) are not currently available to be viewed on the patient website. We hope to have this feature soon. Copays are collected at the time of service. We will make every effort to get the insurance claim processed. We accept Medicare assignment and will file to your secondary insurance. Certain procedures and screening services may not be covered by Medicare. Per Medicare regulations, we will ask you to sign a waiver at the time of service, acknowledging that you may be responsible for payment if the claim is denied. Our office will make every effort to release your records in a timely manner. Records are copied and sent within 30 days. Please advise us of any extenuating circumstances. You must complete and sign a medical record release form. Medical records that are requested by another physcian’s office for continuity of care, are provided at no charge. The record release form must come directly from the requesting physician’s office. There is no charge if records are released to a specialist that we have referred you to. We will release a copy of your medical records on a CD once a year free of charge. A $25.00 fee will apply if printed records is requested. There is a $5.00 postage charge for requested records to be mailed. To create your own patient page and take advantage of the interactive features on our website, you must be an established patient. Once you provide us with your email address, you will receive an invitation from noreply@aiahealthcare.com (check your spam folder if you do not see the email in your inbox). In the email, click the link and follow the instructions to set up your secure access to our patient portal. Your name, date of birth, address and home phone must be current and accurate. Our practice includes hospital only doctors (hospitalists), who are on staff at Banner Desert Hospital, Chandler Regional Hospital and Mercy Gilbert Hospital. If you are hospitalized at any of these facilities, please ask to be assigned to one of our hospitalists (Alliance Hospitalists). These doctors are in direct communication with our office doctors and have access to your office records, assuring a smooth transition during and after your inpatient stay. Should you require a stay at a skilled nursing facility (nursing home) our doctors follow patients and provide care at most facilities in the east valley. Please check with our office or with the nursing facility to confirm one of our doctors is on their staff. It is our goal to provide our patients with high quality and seamless care during the often difficult and confusing process of care transition. The only test that requires at least eight hours of fasting is a lipid panel (cholesterol, triglycerides). 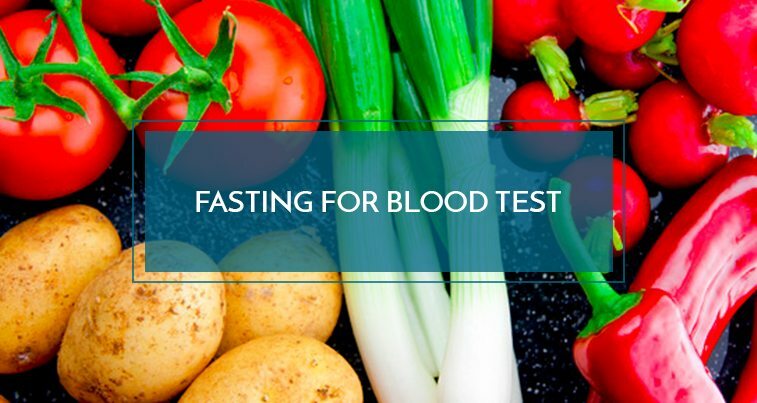 Most other tests, including HgbA1c (diabetes test) do not require fasting. When fasting for a lipid panel you may have water, black unsweetened coffee or tea and any medications that you normally take. Annual Wellness Visits/Health Risk Assessments (AWV/HRA) is covered by Medicare Part B once every 366 days. It is NOT an annual physical examination. Annual Physical Examinations are NOT COVERED by Medicare. An Annual Wellness Visit/Health Risk Assessments involves the patient completing a questionnaire prior to the visit. The questionnaire will be given to you by the receptionist when you arrive for your appointment. It includes questions about your behavioral risk factors (physical activity, tobacco use, alcohol use, nutrition). It also includes your self reported measurements on your blood pressure, cholesterol, blood sugars and weight. In addition the AWV/HRA has questions regarding your psycho-social status which inquires about depression, stress levels, general well-being and social and emotional support that you receive. The covered AWV/HRA does NOT include the provider doing a physical examination of the body systems, vitals, EKG’s and ordering blood work. However, these are part of an annual physical examination which is NOT covered by Medicare. For additional information please review the Medicare Beneficiary handbook. You should have received this book when you became eligible for Medicare Part B. More details are available on the Medicare website.